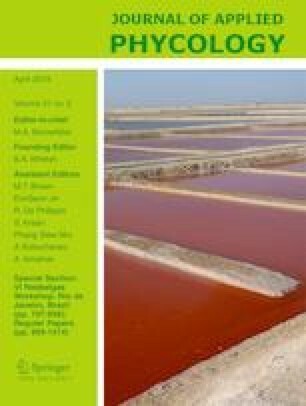 Effects of Spirulina (Arthrospira platensis) addition were evaluated on probiotic Lactobacillus casei growth in bacteriologically acidified feta-type (BAF) cheese. The chemical, textural, and sensorial characteristics of cheese were measured. After 60 days of storage, there were significantly higher viable counts of Lb. casei (9.10–9.35 log CFU g−1) in Spirulina samples in comparison with the control (8.68 log CFU g−1). The viable counts of Lb. casei were maintained more successfully in the probiotic BAF cheese which contained Spirulina. The values of titratable acidity, dry matter, and protein contents of Spirulina samples were higher than the control. Furthermore, samples with Spirulina exhibited softer textures which led to an easier disintegration and chewing of the BAF cheese. 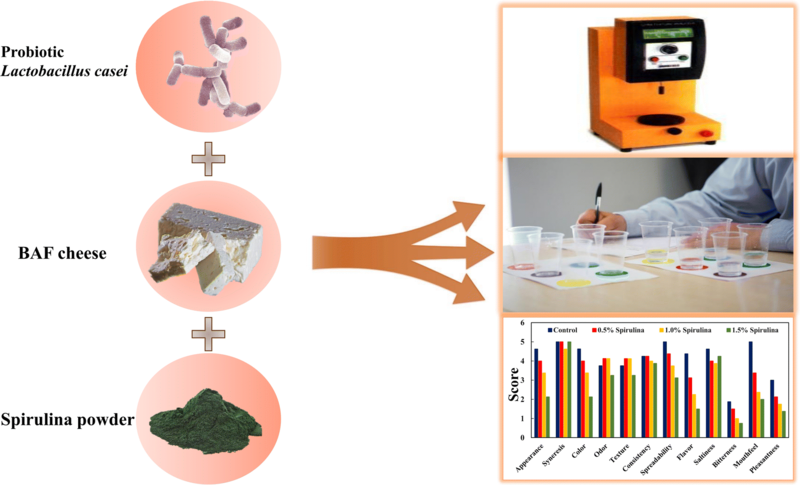 Based on the results of the sensorial evaluation, no significant difference was observed between the control and the samples with 0.5 or 1.0% Spirulina. In conclusion, Spirulina is deemed a satisfactory nutritional source which can be added to BAF cheese without having any adverse effects on its characteristics. We would like to thank Pegah Fars Company. We also thank Mohsen Hamedpour-Darabi for editing the research language of the paper. This research project was financially supported by Isfahan University of Technology and Shiraz University.